Among the different concepts framing traditional Chinese medicine, one finds the theory of Three Treasures. Originally coming out of taoism and its longevity practices and then taken up again in medicine, this theory states that all human beings are composed of three parts: Jing (essence), Qi (energy) and Shen (spirit). Jing represents our material body’s essence and our constitution’s reserves. Similar to a non-rechargeable battery, this refined resource is transmitted by our parents and, in a manner of speaking, represents our genetic heritage. In Western language, it’s a question of hormones, enzymes, neurotransmitters, lymph and blood plasma. Qi shapes vital strength, which activates all the human body’s functions and processes. On a cosmic scale, Qi is the main active principle of all movement and all life. In the human, Qi can be described like the vital energy allowing the body and its physiological systems to function. There is an important distinction to be made between prenatal Qi (Jing) and postnatal Qi (food and breathing) and it’s the combination of these two sources of Qi that determine our level of energy. Qi manifests itself through five main functions: vitality, movement, protection, transformation and heat. Shen, on the other hand, shapes our spirit and brings together the intellect, consciousness, personality and spirituality. It manifests itself through our senses, our emotions and our thinking. Shen lives in the heart. 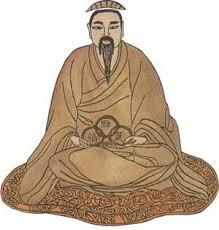 Chinese Taoist tradition has one of the most complete and effective systems of preventive health in the world. Based on thousands of years of empirical observations and scientific experiments, this system proposes many tools for health maintenance and disease prevention, particularly through food and health exercises such as Qi Gong. In this respect, “The Complete Book of Chinese Health and Healing, Guarding the Three Treasures”, by Daniel Reid, summarizes the totality of these practices, as well as the theories that support them, wonderfully well. The human body is entirely composed of essence, energy and spirit. If you do not cherish your essence and squander it without reservation, it will be like pouring water into a cracked cup. If you do not cherish your energy and squander it without reservation, it will be like burning incense on hot coals by continuously pouring oil on the fire until the incense is reduced to ashes. If you do not cherish your spirit and squander it without reservation, it will be like leaving a paper lantern outside until the wind blows out its flame. These are new concepts for most people but they deserve special attention because they allow us to see our own health through new paradigms and to understand the relationships that exist between the body and the mind. These three treasures define all the facets of our constitution and shape our health heritage. The use we make of them determine our physical and psychological health and to a certain extent, way, our longevity.